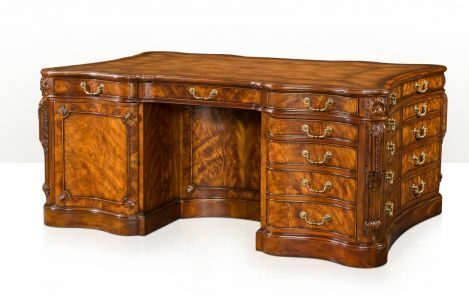 This George III styled desk is finished in flame Mahogany with a leather inset top. The storage is endless with three frieze drawers to one side and two slides and drawers to the other. 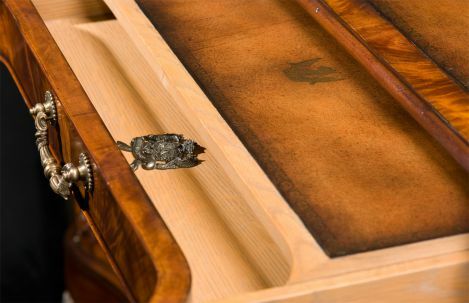 Each side has one pedestal containing four drawers and a cabinet flanking each kneehole. 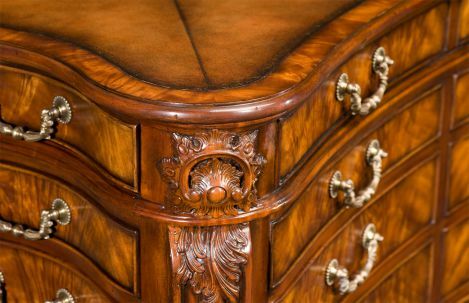 Both sides have ten faux drawers with hardware. Custom options available.